Christmas is coming and you still have to buy Christmas presents? You are coming to Dublin and you want to treat yourself to a shopping day? Have a look at the most popular shopping destinations in the city and we are sure you will find what you are looking for. This is the biggest shopping centre in Dublin, it’s the ultimate destination for shopping and entertainment. The shopping centre boasts more than 100 stores, 40 restaurants and cafés, 12 cinema screens, a bar, two nightclubs and a theatre, as well as a full medical centre, an adult training and education facility and a citizen’s information centre. Located on the Green Luas, the shopping centre is accessible from the different hotels in Dublin city. Located on Dublin’s Northside, Henry Street is one of the two principal shopping streets of Dublin, running from the Spire of Dublin and the General Post Office on O’Connell Street in the east to Liffey Street in the West. Here you will find, famous shops such as H&M, Zara or Penneys. 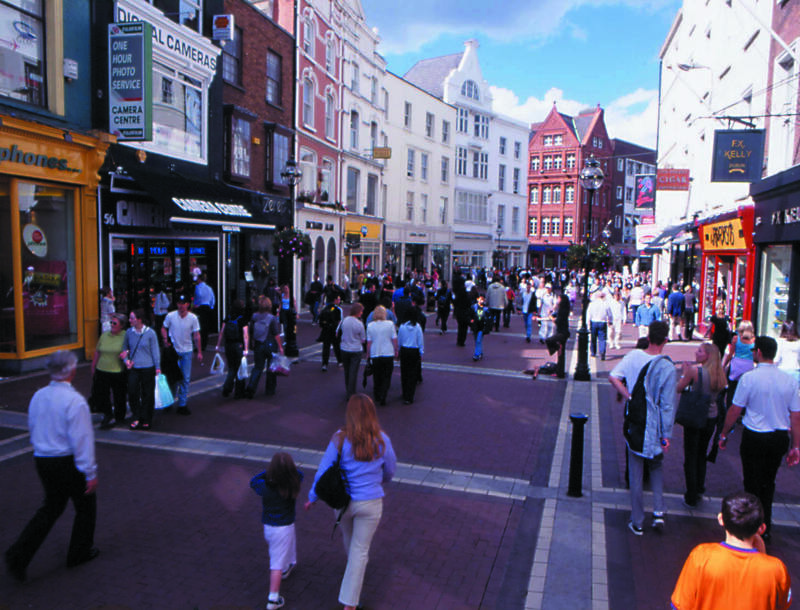 This is the principal shopping street in Dublin, stretching from Trinity College to St Stephen’s Green park. This is the location of famous shops such as Brown Thomas, Weir and Sons or Ted Baker but the street is also famous for the street musicians that are performing there. This buzzing street is situated minutes away from the Davenport hotel. Moore Street is famous for its market, an open-air fruit and vegetable market which is held from Monday-Saturday. If you want to experience a slice of life and get a flavour of Dublin through the wit of its people this is the perfect spot for you.